Beautifully maintained & well appointed single level golf front townhome. Perfect for downsizing without giving up the space & privacy you are looking for. Low maintenance lifestyle w/ brick exterior and easy to keep yard leaves lots of time to enjoy the golf, pool & social activities. Entry opens to spacious living room w/ gas fireplace & custom wall of bookcases w/ cabinets. Skylights & solar tubes enhance the bright and sun filled rooms. 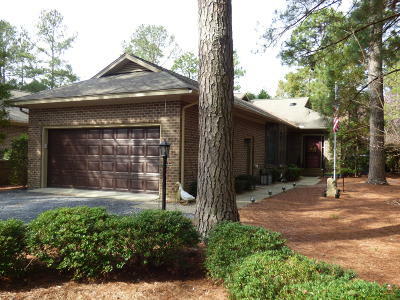 Lovely 4 season Carolina room with walls of windows and patio overlooking the golf course. Separate dining room plus breakfast nook w/ bay window in kitchen. Kitchen has granite w/ tile backsplash & newer appliances. Guest bedroom offers on suite bath and privacy from master bedroom. Master has walk-in closet, tile floor, double vanity and skylights.